Celebrating 20 years of musicianship, Canadian producer Jim DeJong has had this limited abstract release produced on quality Russian label Zhelezobeton. The Infant Cycle are not going to appeal to everyone out there, indeed there are elements of this projects output that can make me grit my teeth. The self-titled intro is a short affair of stabbing industrial that is all too brief for me, before drifting into the lengthy stuck-groove vinyl sounding repetition of ‘Pipe’, which does eventually generate interest as rising machine hum ambience is introduced in later stages. D-OC is one of those affairs I can love and hate with equal measure. There are moments of genuine obscure pleasure, such as the audio damaged ‘Pool Skin’, with its wonderful skipping drones that are an effective mash of sounds mirroring IDM without the beats. Along the way there are varying degrees of Dark Ambient which work well because of their cohesive structures, but quite often there are skittish interruptions along the way that borderline on madness, but without the car crash ghoulishness that makes us sit up and take notice. Removal of such disastrous messes such as ‘Acid Chicken’, and other washes of ridiculous noise (for the sake of it, it seems) just damage the obvious talent and qualities DeJong evidently possesses. Mira Drevo aka: Skald composed this release after becoming inspired on his many travels around Ladoga Lake where he resides. Utilising a varying degree of instrumentation from field recordings to synthesizers and organic instrumentation, he has produced breathing and melodic interpretations of naturist intent. ‘Heavens of Lakes’ pretty much is what it says on the tin so to speak. Skald has a formula and stuck to it religiously. Thing is, whilst seven minutes is an appropriate time for a good ambient track, this opening gambit felt like it was going on for an eternity, with a tendency to linger too much on the same tack. The rest of this album, whilst effectively produced lacks variety. The same synth sound is used throughout, with varying degrees of tantric intersections that do little to vary the overall mix enough. This is a real shame because initial ideas that the artist seemed to utilise on track one (I can’t understand the track titles as they’re not in English-no biggy though) seems to have been replayed over and over again. I understand that this is Skald’s own personal utopia to dwell in and I can feel his catharsis. However, there is little on this release to let others in and in turn this becomes a solitary journey where you feel you are the invader, as opposed to the invited. Traditional Russian Dark Ambient here from the debut offering from the native Corvus; conceptually speaking this appears on the face of it to be without any real story to tell other than the artist wanting to make music within the genre he resides and there is nothing wrong with that, other than this style usually requires something for the listener to latch onto. Given the open nature of the album, a review would simply rely on the impressions given alone; analogue synth and repeating rich drone work offering a spacious playing field to open your mind, there is more than a fair share of gentle breathing pads on ‘Invisible Landscapes’ to let your imagination run away with itself. 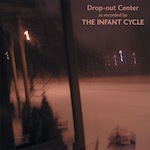 Intriguing vocalisations appear irregularly and are a welcome source, almost elemental and effective once they start travelling alongside the dream-like textures portrayed; sometimes however as in track two (the titles are in Russian) the drop out is too much and the song should have been allowed to fade naturally. Track six toys around with notes in an almost rhythmical sense; there is an element of IDM in the nature of the structure that given some moderate beat-work could elevate this into something spectacular; that’s not gonna happen on this album though. Pity. As far as ambient music is concerned, this is a more than generous affair and clocking in at nearly an hour there is little on here to complain about; an undeniably solid result that does have more than its fair share of greatness that I relished along the way. With some clever ironing out to make his work cohesive from start to finish, the next output from Corvis could be something quite spectacular.